New York, London – April 19, 2018 – BT announced today that SuperFeed, a fully-managed market data feed designed and operated by trading and market access technology provider Vela, can be accessed via the BT Radianz Cloud, one of the world’s largest secure financial markets cloud communities. SuperFeed offers customers a single source for data feeds spanning 100 global venues including BME, Cboe, CME, CTA, Deutsche Börse, Euronext, Istanbul, LSE, Moscow, Nasdaq, NYSE, OPRA, Tel Aviv and many others. It is hosted by Vela and delivered as a managed service via the Radianz Cloud, meaning customers do not require investment in their own back-office infrastructure. SuperFeed is fully compatible with Vela's existing enterprise software which enables customers to design bespoke systems to meet their unique business requirements. 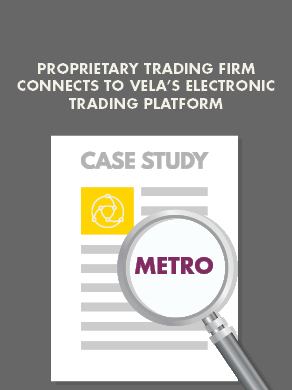 Vela is a leading independent provider of trading and market access technology for global multi-asset electronic trading. Our software enables clients to successfully execute on their trading strategies and manage risk across multiple fragmented markets, liquidity pools and data sources. We help firms successfully differentiate and innovate in an ever-changing, increasingly-regulated and fiercely-competitive landscape, whilst also reducing total cost of ownership. Vela’s ticker plant, execution gateways, trading platform, and risk and analytics software deliver a unique, ultra-low latency technology stack for electronic low-touch and Direct Market Access (DMA) execution and pricing. We leverage the latest innovations in technology to deliver cutting-edge performance, features and reliability. Our modular stack is accessed through a single set of trading, data and risk APIs and can be delivered as-a-Service from multiple co-location data centres globally.